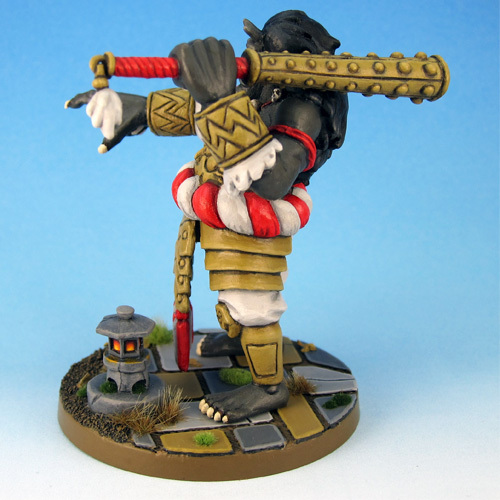 Kasaro To was one of the six SDE minis released with the Relic Knights Kickstarter. 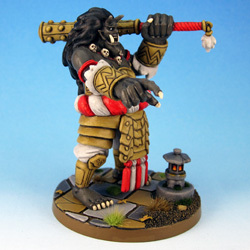 I went for a custom paint scheme with him, heavily inspired by World of Warcraft’s Mogu. 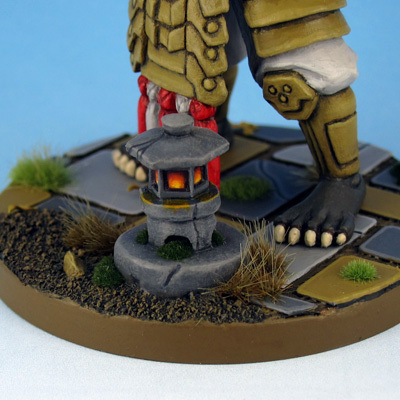 To further the Asian theme I added a small lantern from Wyrd Games Asian Zen Base Accessories to the base. Kasaro To has no love for heroics. 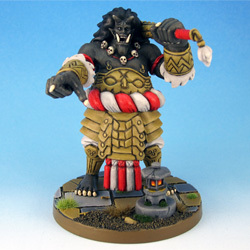 Lord Nozuki has corrupted the Super Dungeon Explore code, allowing his most favored servant to invade the Consul’s dungeons. 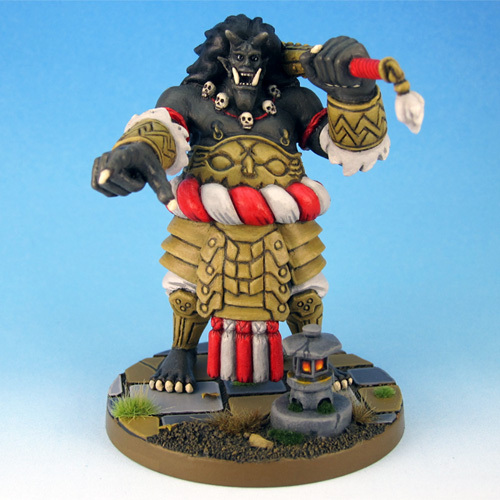 Kasaro To is prepared to wreak carnage and destruction upon the hapless heroes of Crystalia.